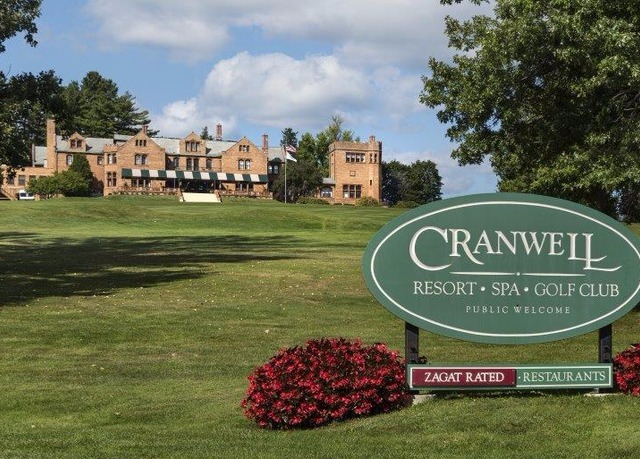 Cranwell Spa & Golf Resort, located in Lenox, Mass. 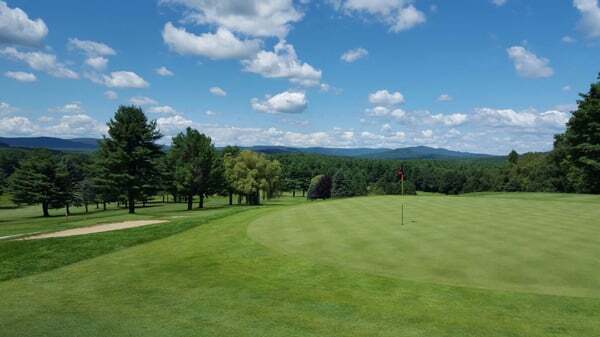 which is close to the heart of The Berkshires, features grounds designed by one of the most famous landscape architects in history - Frederick Law Olmsted - also offers 380 acres where you can tee off on the Golf Digest-approved 18-hole course. WESTERN MASSACHUSETTS – The Berkshires is famous for its fall foliage, thriving arts and music scene, farm-to-table restaurants and quaint villages and towns set amidst a glorious mountain backdrop. 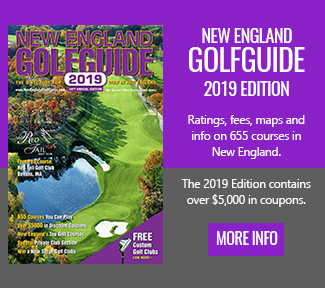 In winter, as James Taylor famously sang, “the Berkshires seem dreamlike on account of that frosting,” but in spring, summer and fall, visitors will find plenty of emerald green fairways to satisfy any golfer’s thirst, all within a short drive of each other. If one can classify a club that’s been around since 1896 as a hidden gem, Wyantenuck Country Club in Great Barrington qualifies. Although private, the club is currently accepting new members. The golf course, which was built in 1915 when the club relocated to its current location, features rolling fairways, panoramic views, dramatic elevation changes and the finest, quickest greens you will find anywhere. Although the championship tees measure barely more than 6,500 yards, it plays to a par 70, so you won’t lack for challenges. Water only comes into play on two holes, but both are memorable. The par-3 14th demands a shot of 160 yards to carry the water, while the 401-yard par-4 17th requires a drive across the river, followed by an uphill, semi-blind approach to a green that sits in a bowl. A piece of advice: take two extra clubs. The second hole is also memorable. It’s not often one encounters blind shots on a par 3, but here one must aim for a target pole in the middle of the fairway and hit it 220 yards to a downhill green that will give you plenty of roll. Those three holes exemplify what makes the golf course unique and intriguing. 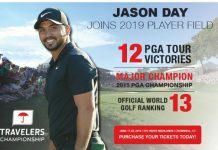 You’ll be forced to think your way around the course, playing virtually every club in your bag, while shaping shots right and left from a variety of lies. You’ll also be treated to eye-popping views, especially from the ninth and 10th tees, which are two of the highest points on the course. After golf, the vibrant downtown of Great Barrington awaits, where dining choices range from burgers and wings to fresh seafood, premium steaks and sushi. One of my favorite casual spots is 20 Railroad Public House, which serves up fabulous chicken wings in a cozy, relaxed atmosphere. For more upscale dining, the Old Mill in South Egremont has been a popular Berkshire dining destination for more than 35 years. The intimate dining room features wide plank floors, dark chestnut beams and wrought iron sconces, giving this 1700s grist mill a feeling of rustic elegance. Approximately 45 minutes away is Cranwell Spa & Golf Resort in Lenox, where you can stay at the magnificent resort and play a course that has been rated by Golf Digest as one of the “Best Places to Play.” This parkland-style course opened in 1926 and features stunning views of the Berkshires throughout its gently sloping fairways. Afterwards, indulge in a spa treatment, followed by an elegant dinner in the Cranwell mansion. Tanglewood, the Berkshires’ premier musical destination and the summer home of the Boston Symphony Orchestra, is nearby, while the Norman Rockwell Museum is just down the road in Stockbridge. Take time to settle into a rocker and watch the world go by from the porch of the Red Lion Inn, which has been operating since the 1800s. Taconic Golf Club is located on the campus of Williams College, and got its start in 1896 but in 1927 Wayne Stiles of Stiles & Van Kleek, a Boston firm, was brought in to expand and refine the course and nine years ago, Gil Hanse, a classicist with a light touch, completed a restoration of the original design & his nips and tucks have resulted in a superb layout that now takes its place among the very best collegiate golf courses in the nation. And if you’re in the area, don’t miss Greenock Country Club in Lee, a masterful nine-hole layout that opened in 1985, one of the first 100 clubs built in America, that was redesigned by Donald Ross in 1927. 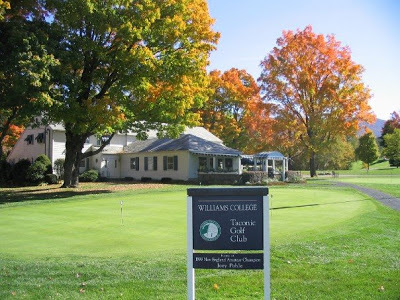 Taconic Golf Club in Williamstown is owned by Williams College and hosted the 2016 Massachusetts Amateur championship. Opened in 1896, the course was renovated in 2009 by Gil Hanse, Golf Magazine’s 2009 Architect of the Year and the designer of the course for the 2016 Rio Olympics. Take note when playing the 173-yard par-3 14th hole; it’s where a 16-year-old Jack Nicklaus scored a hole-in-one while practicing for the 1956 U.S. Junior Amateur. 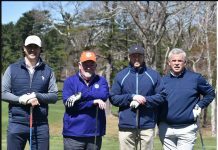 Within an hour’s drive in Lakeville, Connecticut is another nine-hole gem, the Hotchkiss School Golf Course. 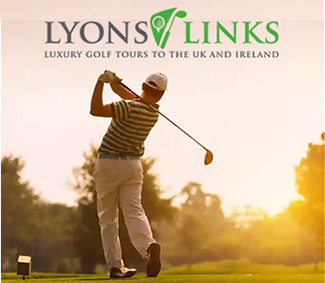 Designed by Seth Raynor, the course winds through the campus of the prestigious boarding school and offers panoramic views of the countryside, along with a no-frills atmosphere that is all about a relaxing day of golf. 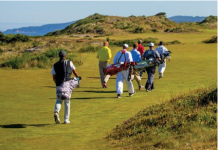 Crumpin-Fox Club was conceived in 1969 as the “field of dreams” of David Berelson, who engaged the services of Roger Rulewich of Robert Trent Jones, Inc to locate a site that would accomodate a Pine Valley type golf course & the course is a “must-play” by all reviews. Finally, if your route to the Berkshires takes you west on the Massachusetts Turnpike, a detour to Bernardston is well worth the journey. That’s where you’ll find Crumpin-Fox Club. 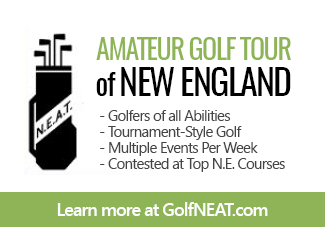 You know a course is special when it has hosted U.S. Open qualifiers and the Massachusetts Open. 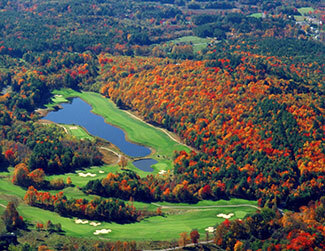 Amid the pine trees and rolling terrain sits one of New England’s most picturesque layouts. 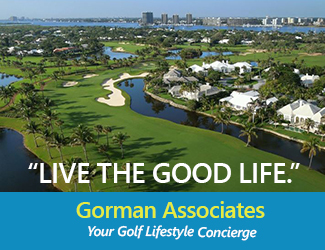 It has been honored in national magazines as one of the Top 10 public courses in America and one of the Top 75 overall. In the Berkshires, you can play a nationally acclaimed golf course in the morning, enjoy post-round beverage at a historic pub in the afternoon, and then settle in for the night at a charming centuries-old inn. No wonder James Taylor was inspired. 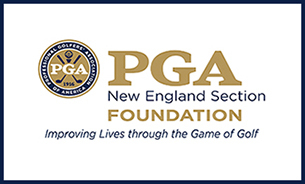 Rob Duca brings more than 40 years of professional journalism experience to New England dot Golf. 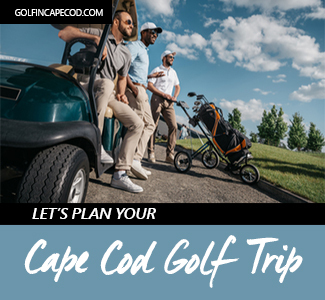 His background includes 25 years as the lead sports columnist at the Cape Cod Times, where he covered professional and amateur golf, and Major League Baseball, the NBA and the NHL. 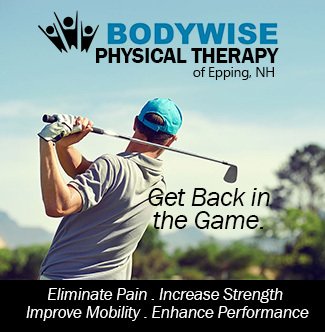 For the past nine years, he has been editor of New England Golf & Leisure magazine, profiling the likes of Jack Nicklaus, Rory McIlroy, Brad Faxon, Pat Bradley and Gil Hanse. He has won more than 35 national and regional writing awards, and his work has appeared in Sports Illustrated, the Boston Globe, Yankee magazine, Cape Cod Life and many other print and online publications.